At twelve years old, my son now stands at 5' 2.5". That's 2.5 inches taller than me and only half an inch until he's as tall as his daddy. Of course, we are happy that he's growing up to be a tall young man. Actually, his height is only average in his school and there are other boys already taller than their teachers. Sadly, this is not a common sight throughout the country. In a study made by the Food and Research Institute (DOST-FNRI) on the nutritional status of Filipino children, it was discovered that 3 in every 10 children ages 0 to 5 years old are stunted for their age. Moreover, among the respondents with ages 6 to 11 months, it was estimated that there is a 16.2% of stunted growth and the rate reaches as high as 33.6% when the children turn one. 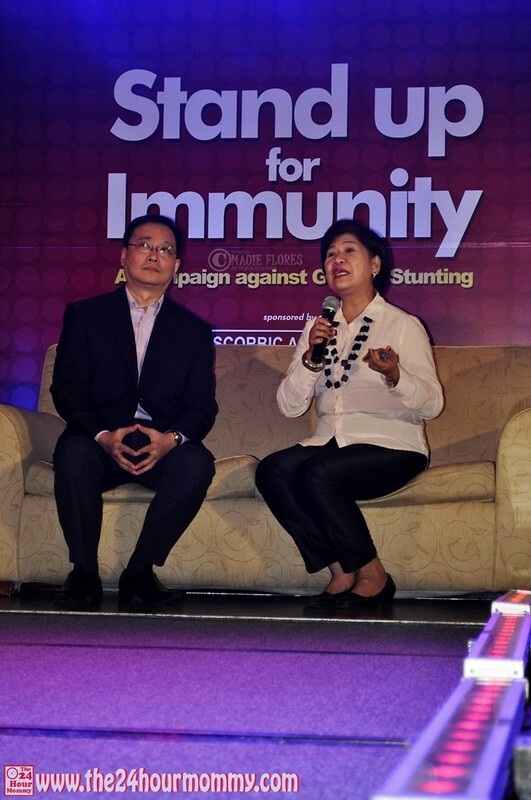 Health experts, Felizardo N. Gatcheco, MD MSc (Pediatric gGstroenterologist and Clinical Epidemiologist) and Imelda Angeles-Agdeppa, Ph.D. (Asst. Scientist and OIC/Division Chief of the Nutritional Assessment and Monitoring Division of the DOST-FNRI) shared their expertise on children's immunity and growth. 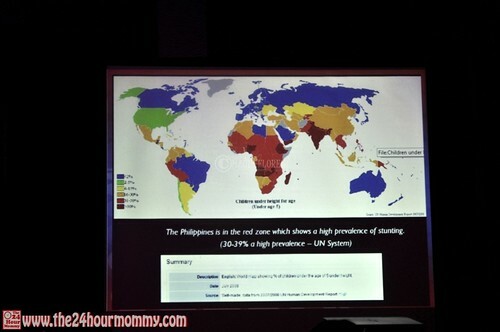 In a separate study done by the United Nations Development Programme, the Philippines was identified as the country with the second highest incidence of growth stunting in Southeast Asia (Indonesia is #1). How did this happen? Medical experts identify two main factors of growth stunting and these are malnutrition and the recurrence of illness or infections. Malnourished children are not only those that belong to families under the poverty line. Take note, malnutrition can also happen to children from upper and middle classes and this can happen because of poor food choices and picky eating. Children suffering from malnutrition are more susceptible to illnesses that also contributes to the slowing down of their skeletal growth and overall physical development. 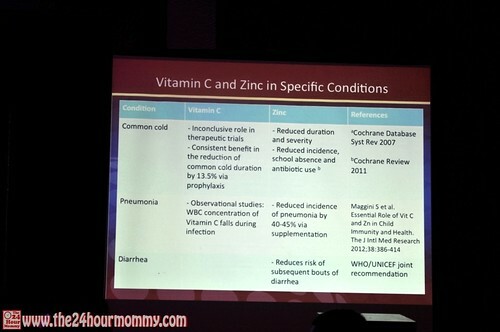 Health experts say that illnesses and growth stunting can be prevented through Vitamin C and Zinc supplementation. 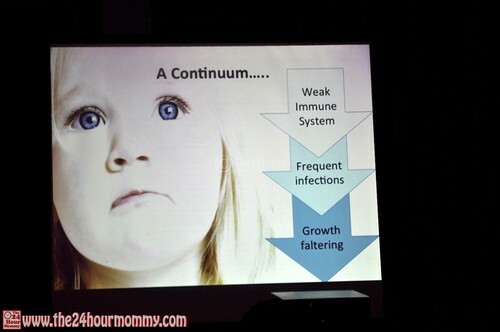 Vitamin C is one of the top immune boosters that aids growth and development while Zinc influences hormonal regulation of body growth which contributes to children's height. 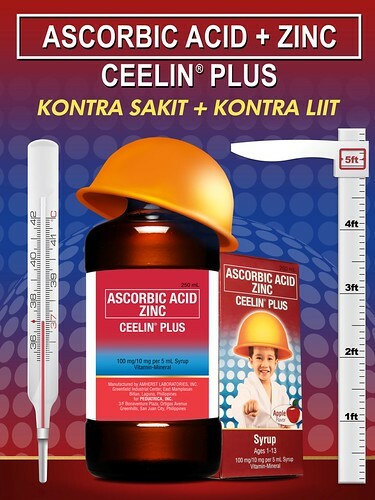 Ceelin Plus, a Unilab brand, has the dual boosting action of 100mg of Vitamin C and 10mg of Zinc that children need to fight illnesses and grow taller. Consequently, Ceelin Plus is promoting the importance of Vitamin C and Zinc in our kids' diets through the "Kontra Sakit, Kontra Liit" campaign. The campaign was also designed as a response to the results of the studies made by the UN Development Programme and DOST-FNRI. At the campaign's launch, kids paraded on the catwalk wearing statement T-shirts with messages such as "Don't get shorty, get healthy!" and "Bulilit ang sakitin!" Aren't they so adorable? 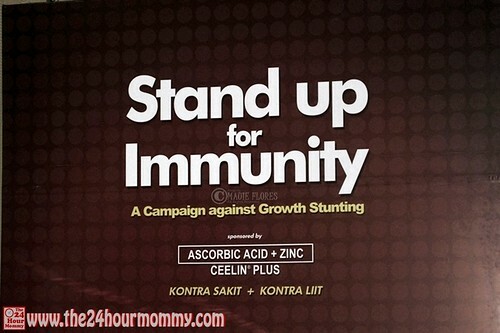 To know more about growth stunting, its relationship with immunity, and how to prevent this, visit the Ceelin Plus "Kontra Sakit, Kontra Liit" website by clicking HERE and liking the Ceelin Plus Facebook page HERE.